Fast forward to the day last year when Clasen learned that the Los Angeles County Museum of Art was planning an exhibition of its newly acquired works from Prince’s Untitled (Cowboy) series. The photographer decided enough was enough, it was time to fight back. So Clasen is staging his own exhibition with many of the original images from which Prince’s pieces were taken. 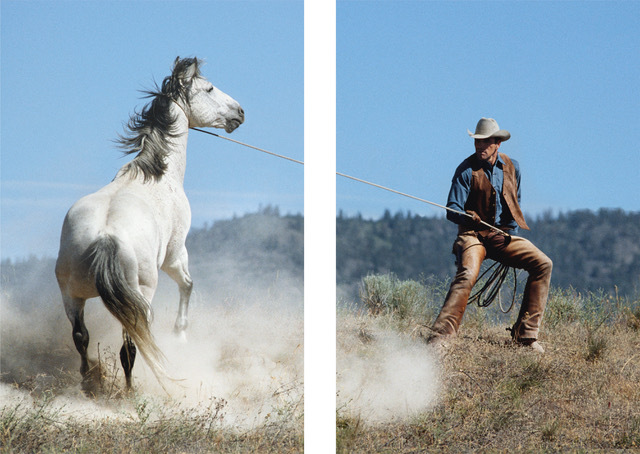 Created over the course of twelve-and-a-half years shooting for Leo Burnett on the agency’s iconic Marlboro man campaign, Clasen’s photographs are on exhibit simultaneously, just a few miles from the LACMA show, at the M+B Photo gallery in Hollywood. 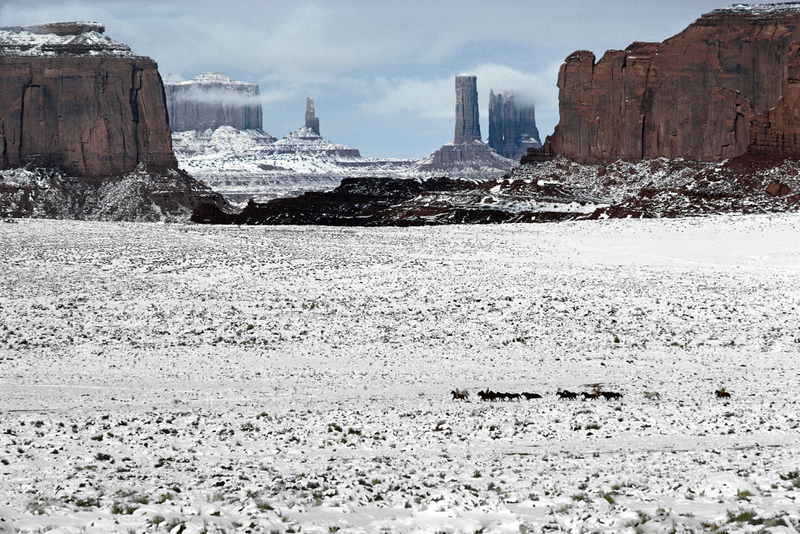 The exhibition, Titled (Cowboy), runs through April 15th, 2018. Clasen’s primary goal is to raise awareness of the plight of photographers and creators of all kinds when it comes to the copyright protections afforded their work. That Prince is able to copy existing images and pass them off as his own while continually winning in court, Clasen argues, is evidence of a fundamentally flawed U.S. copyright system. Clasen very much wants to motivate photographers, writers, artists and the general public to take action and demand changes to the laws that allow this kind of “appropriation” to happen. To that end Clasen will be donating a portion of the proceeds from his exhibition to the APA’s copyright defense fund “in order to help defray legal costs for photographers everywhere who have been affected by artistic piracy.” He believes strongly that change is impossible working alone and that photographers and creators of all types must band together with industry organizations such as APA taking the lead in the fight for common sense copyright reform. "APA is extremely grateful to Norm for his timely and generous offer of help in our efforts towards protecting the ability of creators to make a living from their hard work," says Juliette Wolf-Robin, the National Executive Director of APA. "Our country's founders understood the importance to our nation of protecting the rights of its inventors and creators to profit from their work, and had the foresight to etch copyright protection into our Constitution. Unfortunately, throughout the intervening years, our copyright laws and their enforcement have not kept pace with the technology that allows the theft of protected works by the simple click of a button. Couple these factors with the forces of greed, an underfunded Copyright Office, an uninformed public, ill-informed lawmakers and judges, and we now have a perfect storm that is causing our nation to lose its way in upholding what the framers of our Constitution understood to be a pillar of our nation's strength," adds Wolf-Robin. 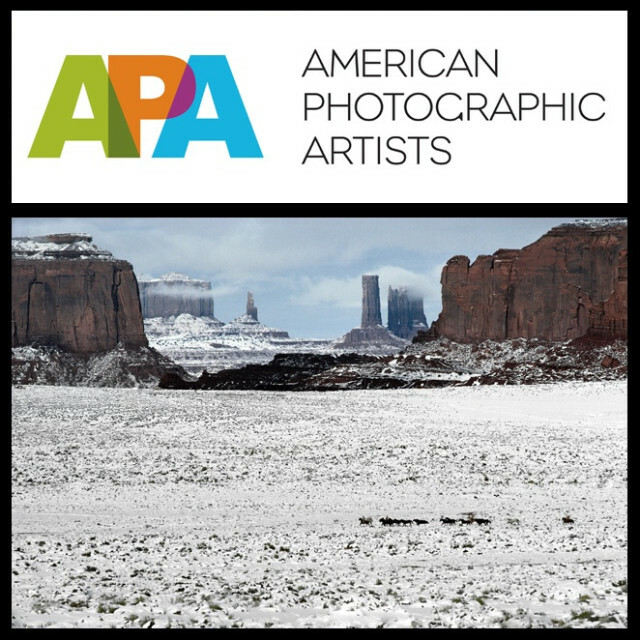 "APA, a legacy non-profit trade organization that has been working to support the photographic industry and uphold the rights of photographers for over thirty years, understands that artists, writers and creators are in the fight of their lives where numbers make the difference, and requires all hands on deck," Wolf-Robin says. "That is why, over the last several years, we have been partnering and working with stakeholders from other advocacy organizations in the graphics, music, and publishing sectors to advise lawmakers on how best to ensure the protection of creators' livelihoods in the current and future paradigms. Through on-going lobbying efforts and face-to-face meetings with key members of Congress, we are proud that these efforts are taking the form of a comprehensive Copyright Reform Bill–the first time Copyright Law has been significantly addressed and updated in roughly a half-century," says Wolf-Robin. "We also realize that the efforts cannot begin and end with Congress and the courts. We must also work to inform creators of their rights and how to protect them while engaging and educating the public in significant ways that by using someone's work without permission, they are stealing and depriving a person of their livelihood. While we are making some significant headway, there remains quite a bit of heavy lifting that taxes the bandwidth of non-profits such as APA. But the lift is made just that much lighter thanks to the generosity and enthusiasm for the cause of people like Norm Clasen." Clasen says he hopes his fellow photographers will not only join the fight to protect creators’ rights, but that they do so by joining industry organizations such as APA to better have their voices heard in the quest for meaningful change.